I've been back and forth on the whole collar issue. Collar? or just a band? Since both my Victorian shirts have only collar bands I decided on a collar and stand for this shirt. The problem? I only have patterns for a buttondown collar and a rounded collar (which came out like crap because I stink at sewing curves). I will have to make my own collar pattern. 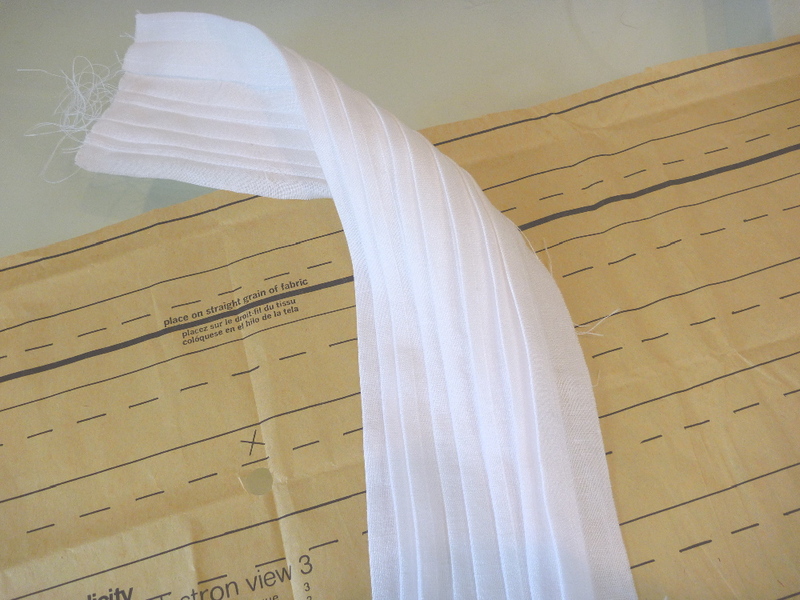 My goal is a narrow spread collar, so I made a mock up using my Swedish tracing paper. 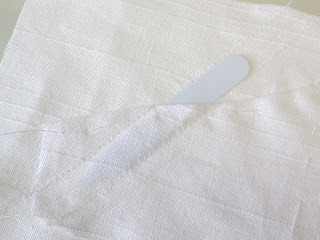 It can be sewn just like fabric. I was able to experiment with the spread by wrapping the paper collar around my neck and folding it to a shape I liked. Once I was satisfied, I ripped the seams apart and simply traced a new collar pattern based on my various folds. 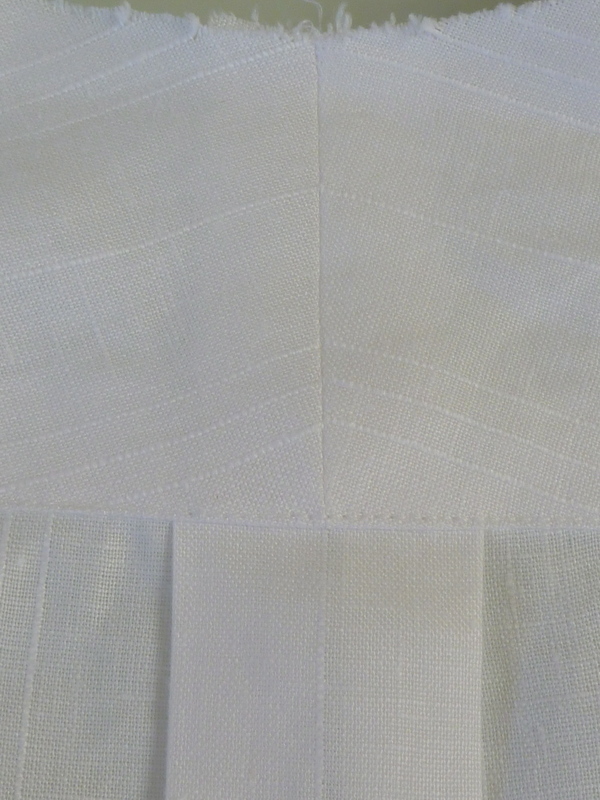 The edge of the collar is folded back and trimmed off. Then a 4 - 5" scrap of cloth is basted into position behind it. The 1/2" slot for the stay is stitched through all the layers. 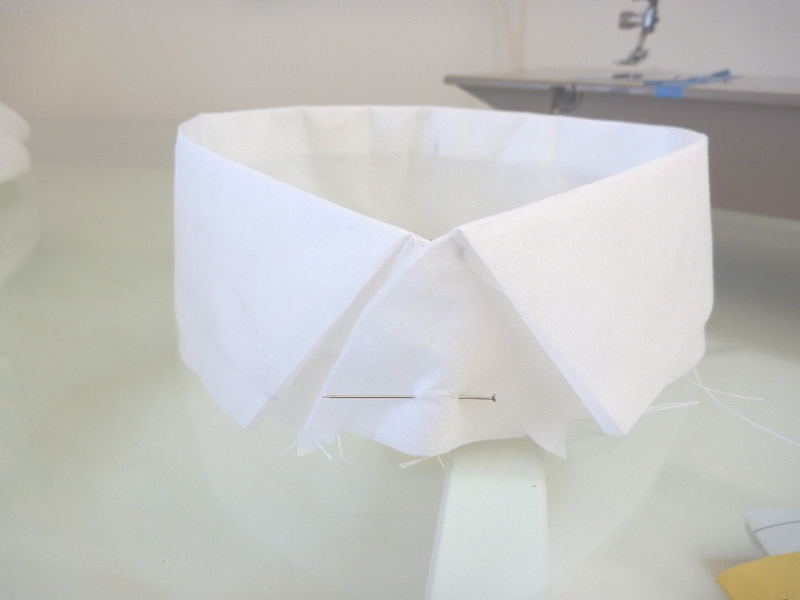 I think you just have to use your intuition about the angle that bisects the point of the collar. Also, there has to be room to get the stay into the slot, so be aware of where the seam allowances are. 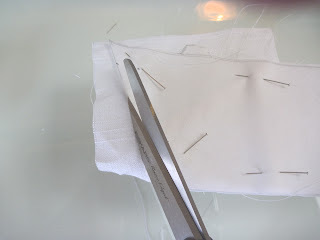 Once the slot is stitched the pattern is pinned back onto the collar and the scrap is trimmed. Now you're back to the original collar shape. 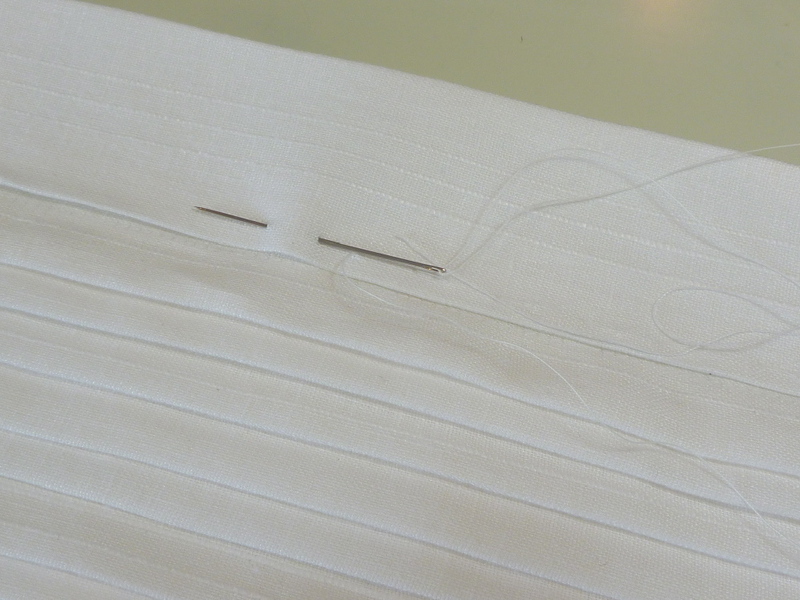 Here's how it looks after the collar is stitched, turned and attached to the stand. Yay! This ended up better than I anticipated. Time to attach the collar / stand to the shirt. 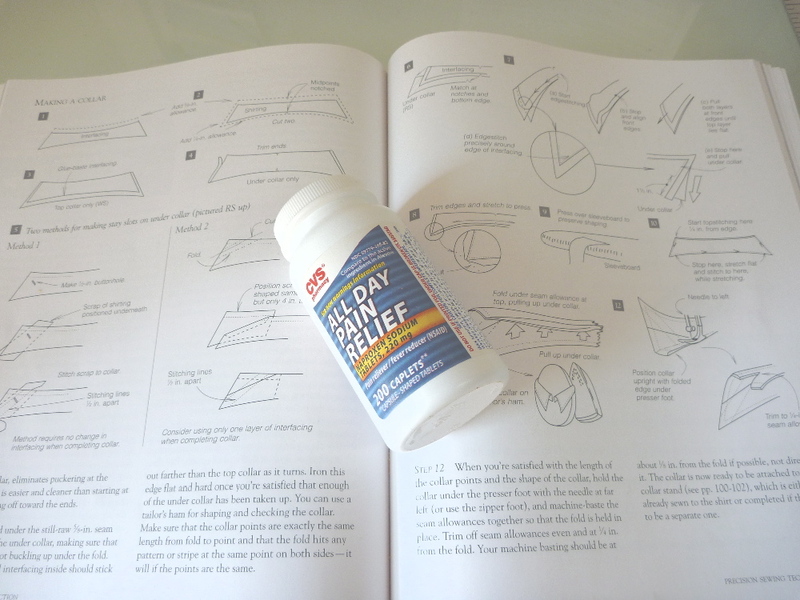 At this point, however, I put DPC back on the shelf and go to Peter's shirt sew-along instructions . Attaching the stand to the shirt is the most challenging part of shirtmaking for me, and his technique has work the best for me. Still it's never easy and quite time consuming to do well. Getting there! Time to give it a rest. All that's left are buttonholes and hemming. 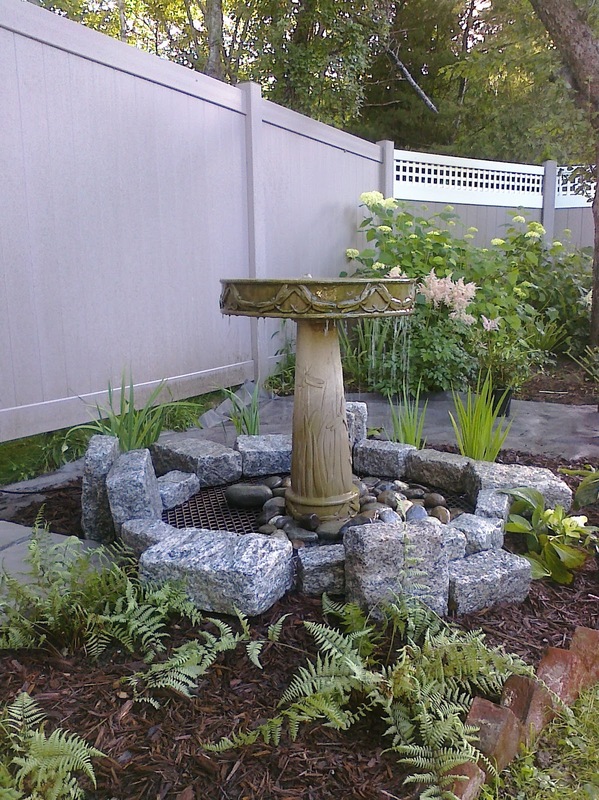 Readers, I took an extended break from sewing to work on a backyard fountain. It's been a long drawn out affair. 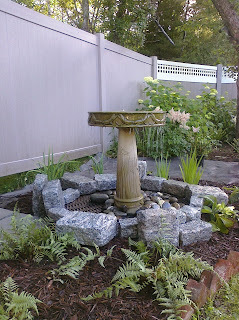 Not only has there been a lot of backbreaking digging and hauling of dirt, but most of my days off in June were rainy. There were times I thought it would never be done, but it's finally up and running. 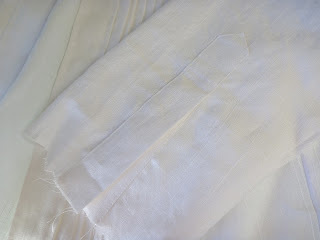 There are still some finishing touches to be fussed over, but now there's time for a summer sewing project. Maybe you've noticed. 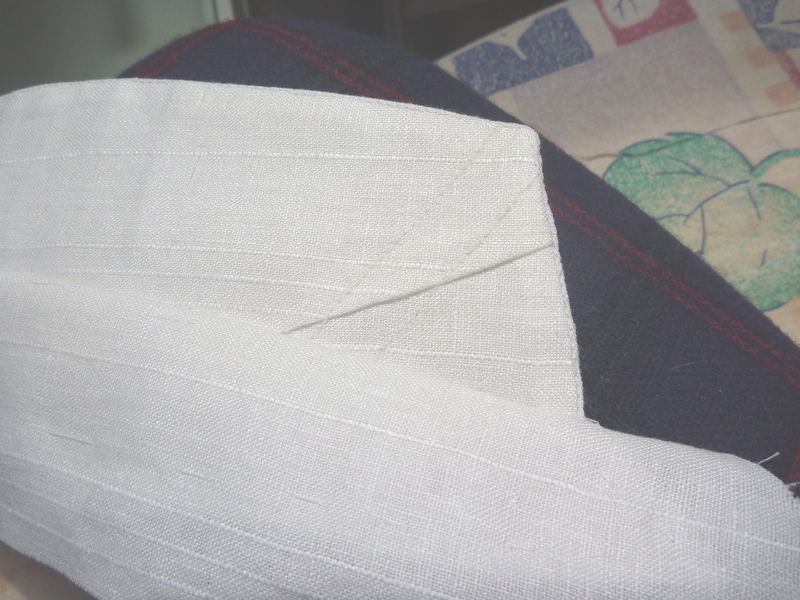 All the sewing guys have been making linen shirts, so I'm joining in! I think Tom started the trend with this classic white number. Then Peter came up with this crisp pink version. 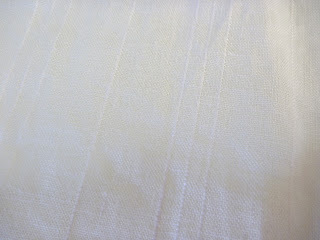 I'm going to be using a textured stripe linen that I picked up at Graylines Linen , 260 W. 39th St. If you love linen, this is your store. The selection is huge, the staff is friendly and helpful, and the prices are surprisingly reasonable. This fabric just screamed "summer shirt" to me. 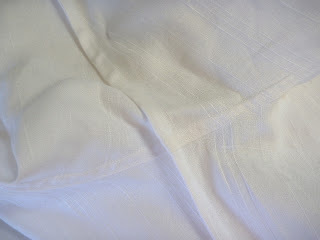 It's 60" wide, so I will be able to get a long sleeved shirt out of 2.5 yards with fabric to spare. 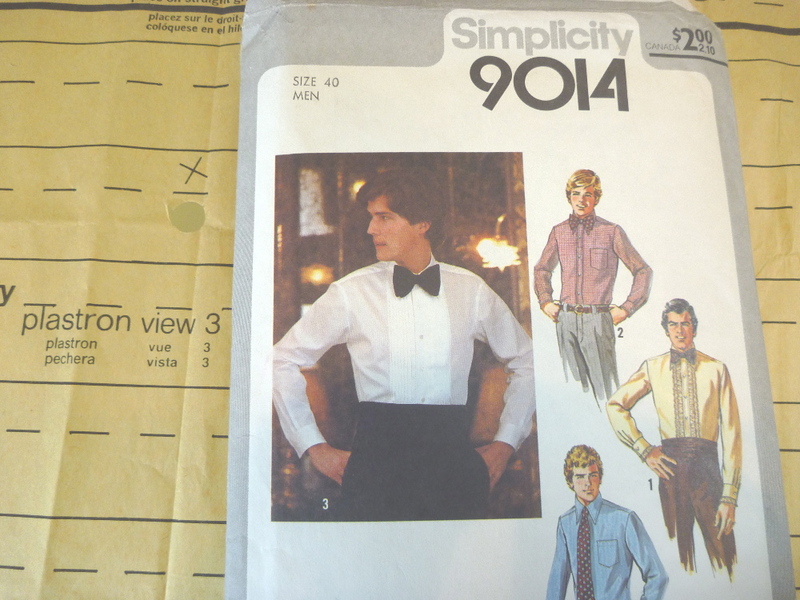 Total fabric cost -- $23.75. 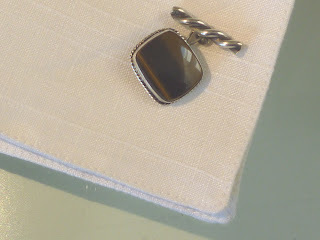 I'll end up spending more on buttons and cuff links! Making a tuxedo shirt was one of my goals for 2012, so I'm going to attempt a casual linen version. This pattern has been in my stash for awhile. 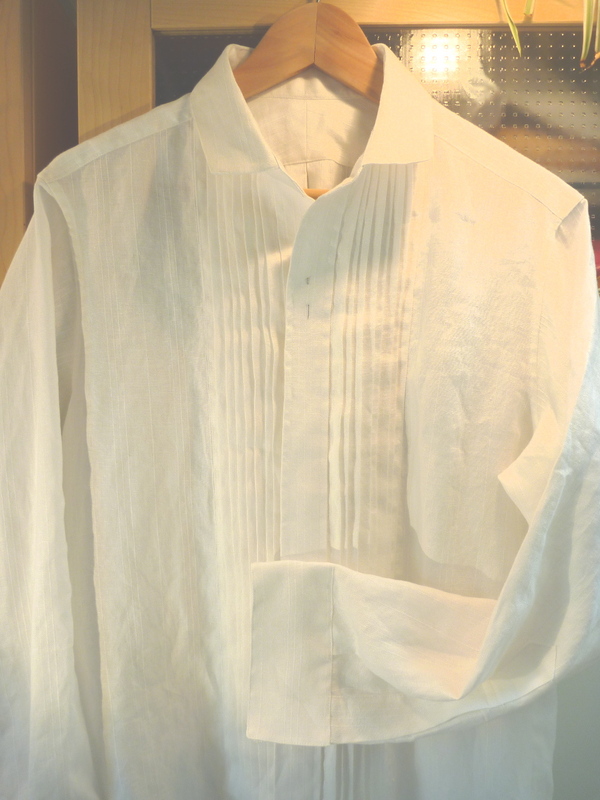 Upon opening it I discovered that it's really just a straightforward shirt with the addition of a pleated panel (plastron) topstitched to the shirt fronts on either side of the plackets. So rather than reinvent the wheel, I'll just use the plastron piece and add it to my tried and true buttondown shirt pattern which fits me well. I cut the plastron pattern pieces and clipped the edges to mark the fold lines. Linen, especially light weight linen, has a tendency to shift all over the place. 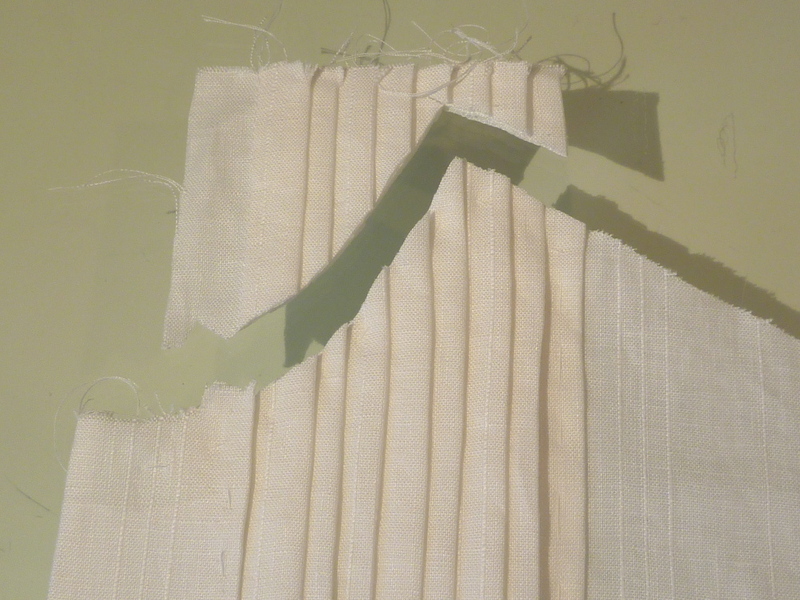 Getting the pleats even was damn near impossible, but I'm happy with the results. 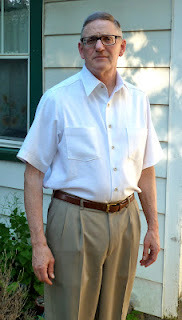 I keep telling myself that it's a casual shirt, and that the slightly uneven pleats just add to the effect. 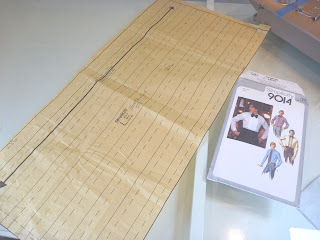 BTW the directions for doing the pleating were almost impossible to understand. 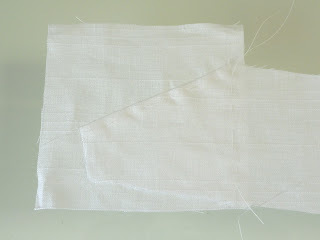 The plastron sections are then tucked under the front plackets and basted into place before topstitching the plackets. 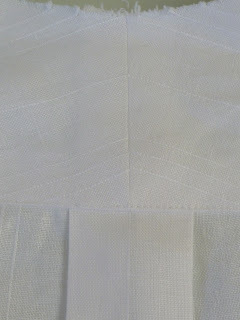 After basting and edgestitching the plastron onto the shirt fronts, the neck and shoulder edges are trimmed. 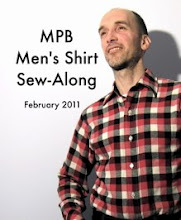 From here on out it's pretty basic shirt construction. 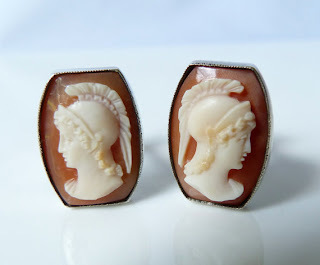 Time to start checking Etsy and Ebay for cuff links!